For this fine Saturday (at least, it’s fine here in Montana), here’s another gem from Stanley – the No. 79 Side Rabbet plane. It was used for cleaning up rough-cut rabbets, and has two cutters, one for cutting in each direction (left or right). In production from 1926-1973, it was a somewhat cheaper alternative to buying the No. 98 and No. 99 right and left pair, which went out of production around 1942. 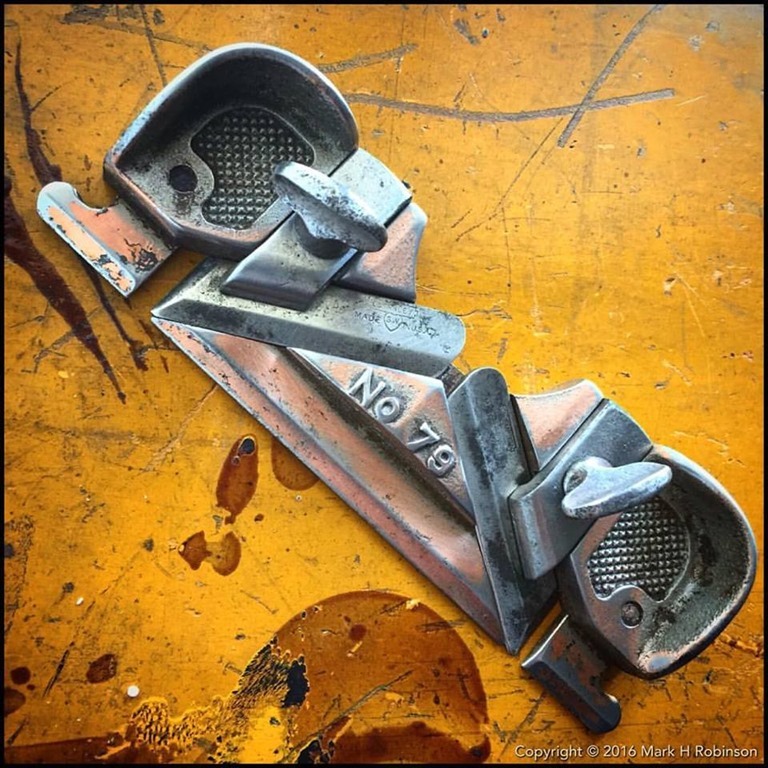 Even without the type two Sweetheart irons, which appear to be original and would put it between 1926 (first date of manufacture) and 1935 (last date of the Sweetheart logo), we can date this example to pre-1950 because of the large semi-circular cutout in the main casting. Later examples did not have this, and added a full length detachable depth stop. What fascinates me about this plane is that, through heavy use, the nickel plate has worn off pretty well anywhere that it would be touched and held by the user – not unusual in itself, but in this case, it appears to be nickel over copper plate on the main casting. I’ve never noticed this before, and to me it makes the evidence of wear appear almost artistic! Incidentally, the background is the lid of an as yet unidentified Stanley toolbox, featuring original yellow and blue paint, from the Sweetheart era (based on the tools it contained!). 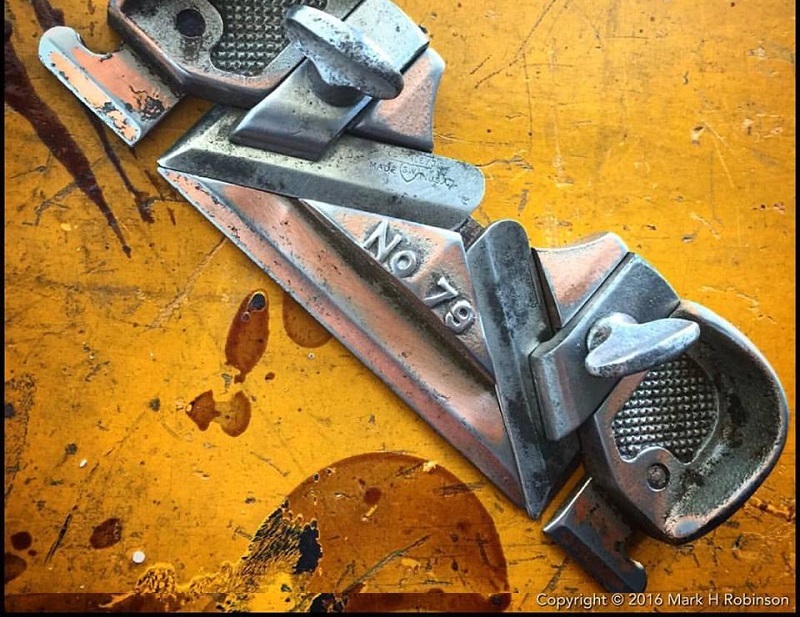 If you’re interested in seeing a lot of great antique and vintage Stanley tools, plus some original content about this great brand, please visit my friends over at @Stanley_Tool_Heritage, or check out their hashtag.